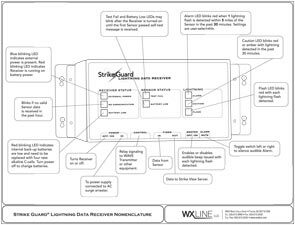 Strike Guard employs state-of-the-art technology to address the most demanding lightning safety and equipment protection applications. 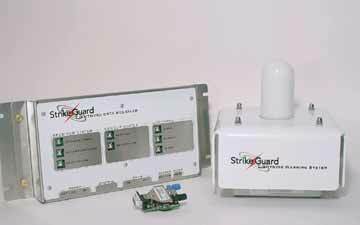 Designed for critical applications, Strike Guard monitors cloud and cloud-to-ground lightning and provides contact-closure signaling at user-set lightning activity thresholds. Patented optical signal processing and proprietary optical-coincidence technology prevent false alarms.